It’s a jungle out there when it comes to cosmetics, slimming, anti-ageing treatments. Every woman has a weakness for something and I have an obsession with cosmetics and cosmetic treatments. If there was a cream for ears… I would certainly buy it! At the airport I spend most of my time at the Duty Free shops until the last call. Imagine how it irritates my husband. Recently I’ve tried a new method for sliming down and I want to share my experience with you. There are many offers on the market for slimming down, but what actually works? Forget about the sales tricks and go on real experiences. Here is mine. This article isn’t about LPG that is everywhere, but I must start with it. Last year I was tempted to try the LPG Lipomassage slimming machine that made such an impact in the Czech Republic. The first time I tried this was at the Expat Expo. The basic working principle is a vacuum which through deep massage shifts fat and connective tissue. The sub-skin tissue is separated from the muscle and with roll’in technique fat and cellulite are reduced. It stimulates elastine and collagen production. Is was very pleasant and I decided to try it our regularly. They recommend you have 10 sessions. Hm. One session costs minimum 1000czk for 20 min which covers one desired part of the body. I was interested in ALL body parts never mind one!!! But do the math… the family budget would suffer a lot and I am not that crazy. I eventually bought the minimum - 6 sessions. Every time I went I was looking forward to it very much. You can actually feel the cellulite and resistant fat being tackled. If I hadn’t read up on LPG and its effects I would go just for the pleasure of it. I must admit I didn’t see that much difference. I know I would have to go more times and do it like 3x a week but I really didn’t feel the need. It felt so good, the information aboutICOON was right and I loved the care at the Salon so I went for it. This time properly. I bought the sessions and please, do not ask me how much it cost… I don’t want to remember. But I can tell you it was close to 20000czk. Yet - after all those years of trying out different procedures for 300czk here, 500czk there that never really worked I decided to take this chance. 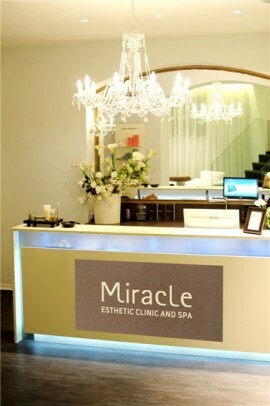 The Salon was guaranteeing weight loss in problematic areas which helped my decision. I guess if you really want something to work and you dont want to go the way of invasive surgery then - this is a solution. After all - try to Google LIPOMASSAGE. Its such a popular search term all over the world! Now, I have one last session to go out of 15 so I can tell you if it works or not. 50% of the miracle I believe is drainage. The older you get the more water your tissue withholds. In addition ICOON is supposed to stimulate elastin and collagen production in the skin - that with age decreases. Makes sense. If you do not use some muscles they will not grow and wont be strong. Eventually it effects the fat tissue and by circulating the blood and stimulating the metabolism - it helps fat to go away. Burn. Here is what the flier about Icoon say: “ICOON, with its integrated Roboderm technology, stimulates every milimetre of your skin. Thanks to its exclusive patented system, Icoon is the only technology able to apply multi-micro alveolar stimulation to the tissue - 1180 multi-micro stimulations per dm2. It brings extraordinary results both for the body and face. Icoon is being used in medical treatments as well especially after operations.